HomeLifestyleDaily LifeLotto Weekend: $33 M won in Edmonton; $15 M to go! 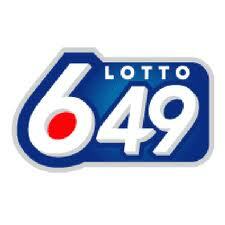 This morning the OLG web site announces that the Lotto Max prize of $33,301,693.30 had one winning ticket. I discover that the media outlet iNews880 is saying that the winning ticket was purchased in Edmonton. How do they know that? I have been through the OLG site and I don’t see anything that mentions where the winning tickets are purchased. Does anybody out there know? Hello, readers? Can anybody clear up this mystery? Don’t forget tonight’s 6/49. There is a fifteen million dollar pot just dying to be won! So, other than waiting for my winning ticket to be picked tonight, what else is happening? Anybody looking for a weekend getaway? Why not consider Stratford, Ontario and the Stratford Shakespeare Festival. Check out the article "Stratford, the Bard, and a Getaway"
Am I the only one old enough to remember the computer called the Commodore 64? It’s a trip down memory lane. See the article "The Commodore 64 is making a comeback. What!?!"